Drop everything...reach your friends and plan your next Saturday night at (((Stereobar)))! 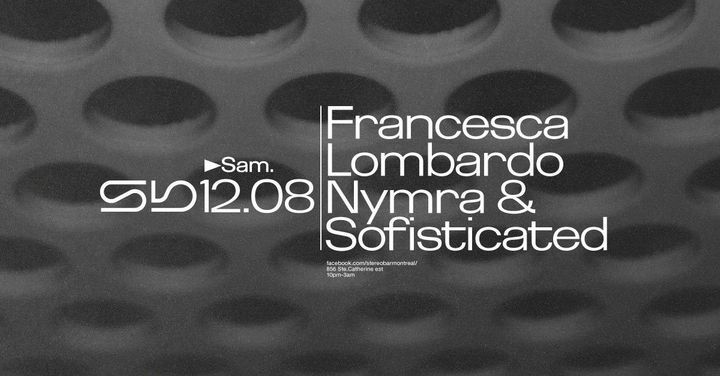 Rare visit...Francesca Lombardo will be in da house and we are sooo happy to open for here. Track to know when Nymra & Sofisticated is playing near you.